Can I use tea tree oil for acne with teenagers? Skin problems like pimples are very typical among teenagers. This is due to hormonal imbalances they are experiencing in their adolescent years. Using tea tree oil for acne is well known and can be used as an alternative topical pimple treatment because of its antibacterial, antimicrobial and immuno-stimulant characteristics. In fact, studies conducted at the Department of Dermatology in Royal Prince Alfred Hospital, Australia and the University of Maryland Medical Center showed effective results of using tea tree oil for acne and less side effects. 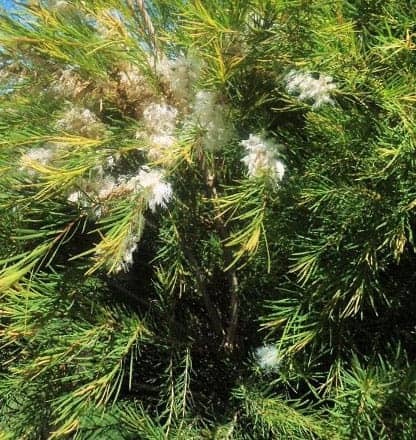 Tea tree essential oil is extracted from the leaves of the plant that has the botanical name Melaleuca alternifolia. It contains terpinen-4-ol which has antimicrobial properties. Tea tree essential oil for acne can be a better option to use for a teenager than over the counter treatments because it is natural and kinder to the skin. Tea tree essential oil is also known to be safe to apply directly on the skin. However, if your teenager has a more sensitive skin type, it is always best to do a spot test on their forearm first, and see if there is an irritation, burning or any allergic reaction. Another way to treat the skin is by putting a drop or two of tea tree essential oil to 30ml of pure aloe vera gel. You could also try manuka essential oil, as this works well for acne too. Though the effect of tea tree oil for acne or manuka oil for acne may be slower than the usual commercial applications, its effectiveness is proven in naturally healing the skin.